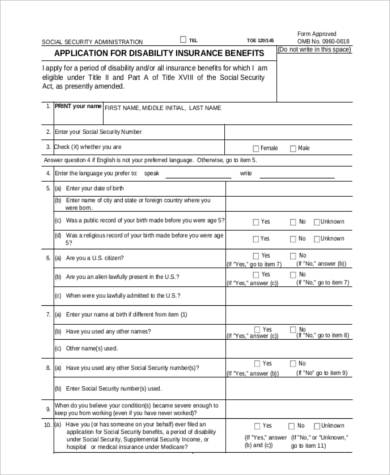 If you wish to apply for social security disability allowance or for disability insurance, you would benefit from knowing the questions asked and what information will be required for the various sections of disability application forms in the institutions you wish to apply. 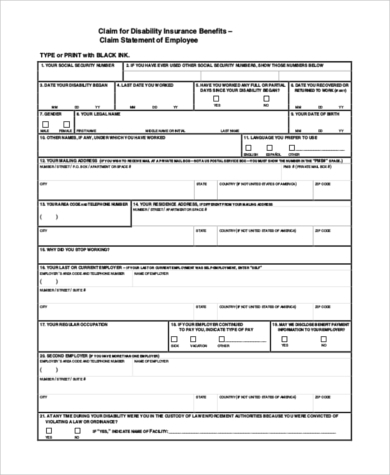 Such samples will also be useful if you run such an establishment offering disability benefits; these can be useful templates when drafting your own forms. 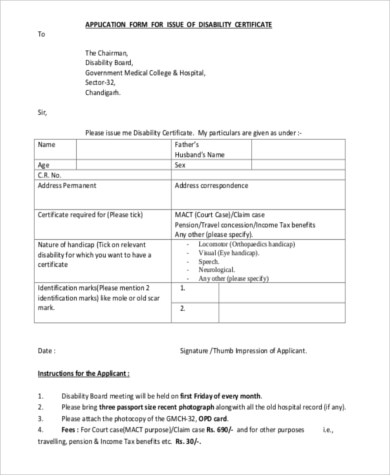 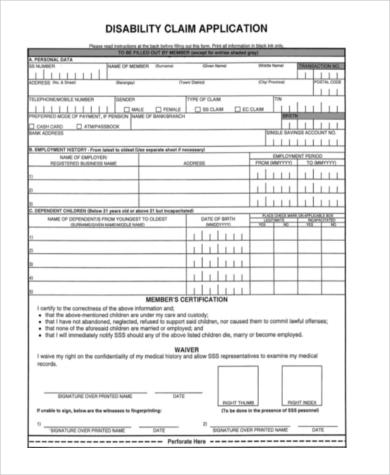 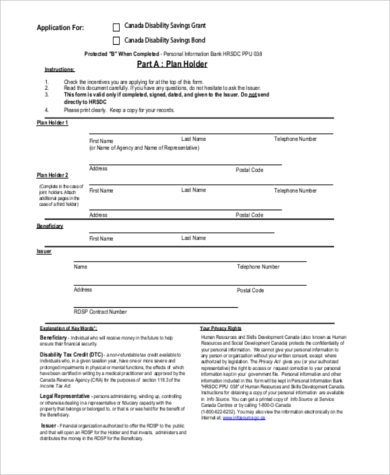 Here are some Sample Application Forms that will help you get familiar with the disability forms used by establishments around the world. 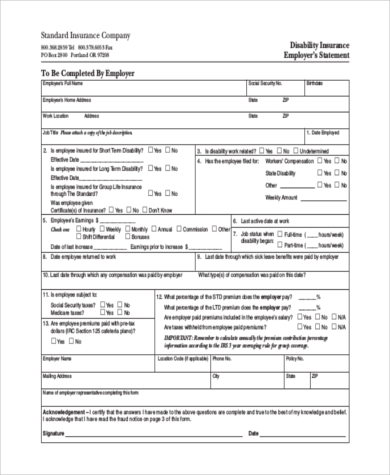 We have provided them for free download as PDF files as a useful point of reference. 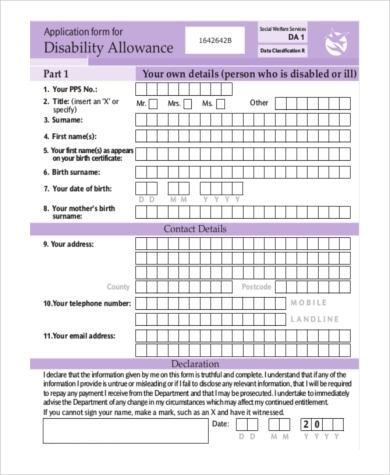 To make sure you get all the help you can get, we have included many kinds of disability application forms for different purposes, such as when applying for disability benefits or allowance, a disability grant or certificate, or even when applying for a job or when you stop working due to a temporary disability. 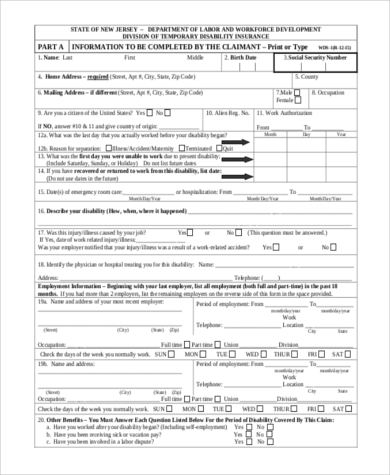 This is to give you a better idea of what different institutions require of an applicant to be approved for their specific disability benefits. 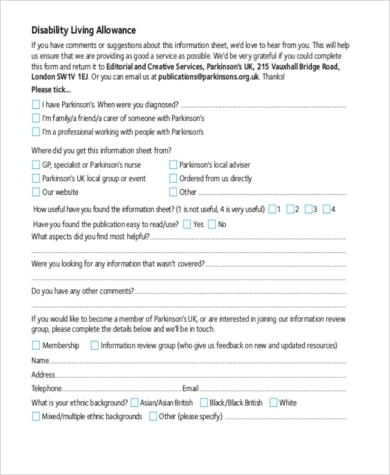 You may also be interested in Sample Disability Application Forms that you can answer online or over the phone. 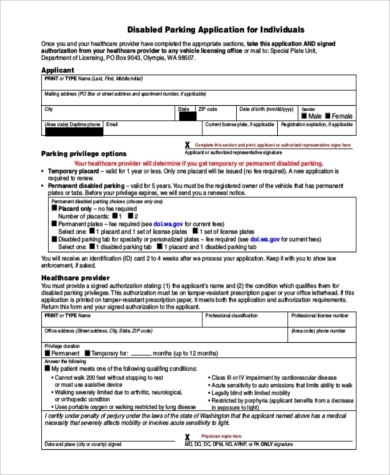 From this same link on sampleforms.com, learn how to fill out disability application forms and make sure the sample you download online is the latest version in effect at the institution you are applying to.